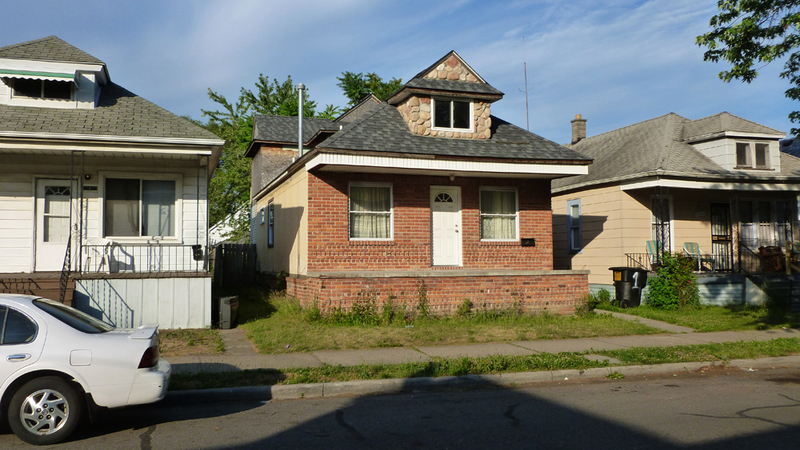 In Detroit the front porch is a key architectural component suggesting an identity to the dweller inside. Typically lifted three feet above street level, these partially public, semi-private places are social perches and temperature reliefs from the non-insulated usually densely divided interior spaced houses behind them. Any spatial shift to these perches marks an anomaly in the continuous neighborhood fabric. The shift is playful when it retains either structural, proportional or programatic tracings of the previous porch, such as removal of the stairs, enclosing the exterior space, or building out to the sidewalk. 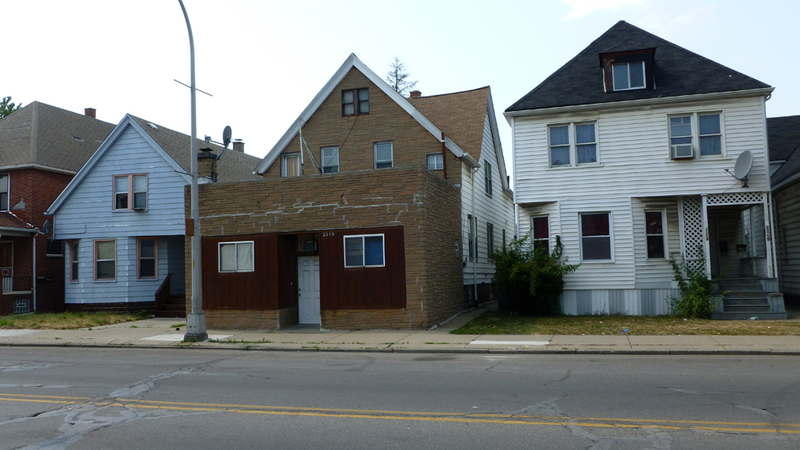 This entry was posted in detroit and tagged facade, porch, renovation, streets by vmcreynolds. Bookmark the permalink.